I hoped to have this done by now, but 100 year old plumbing can take a little longer to figure out; especially when it is threaded and soldered together. 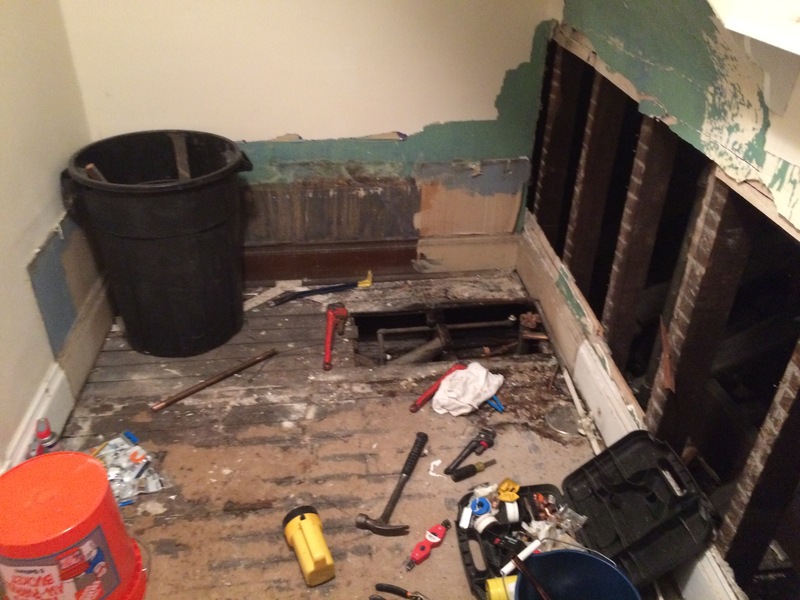 I started out by gutting the floors and ripping out some of the plaster walls that were not in the best of shape. This was the easy part of the job. Once this was done i realized it was going to be a bit more work that I had hoped to remove the bath tub so I could work on the walls behind the tub. I should have just figured out a way to work around the tub, but I decided that it would be much easer. Lucky I have a friend that is a little better than I am with plumbing work, though I should have put more into the fact that the first time he looked at this project he said none of this looks to be standard sized. Fast forward to today when my friend it actually disconnecting the plumbing, it took a few hours and some interesting connections, but the tub is finally disconnected and I can get to work on the rest of the bathroom. I am planning on keeping the old claw foot tub, I just want to clean it up before I put it back. 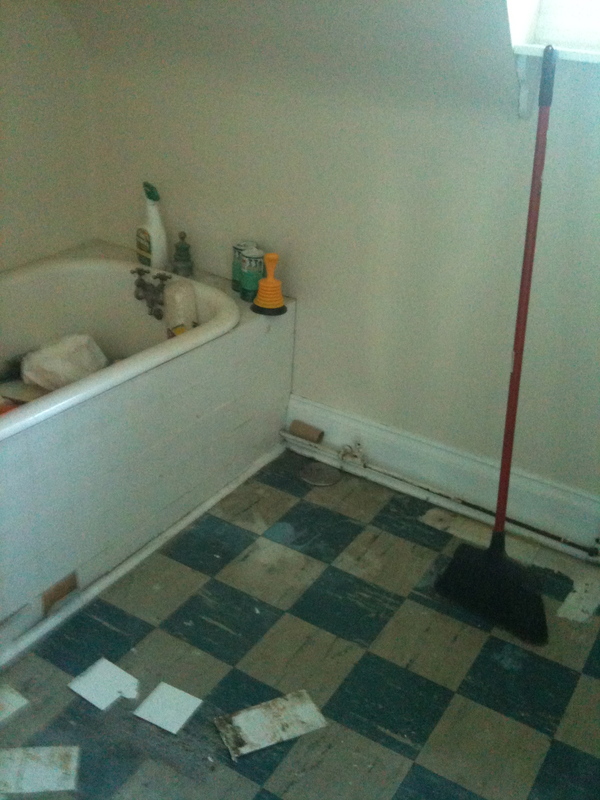 It also looks like I may end up redoing a lot of the blurbing in the bathroom, including what is under the floor. Of course that means that I will be ripping up most of the subfloor. Looks like it is going to be a bit more work than I had hoped…and most likely a bit over the budget I had hoped for. But at least I can get moving on this project again. I didn’t know that was a cast iron tub. very cool! Yep, and cleaned up it is going to look nice. There is also a small one in the basement.